The programme of films for this year’s Edinburgh Film Festival was announced on Wednesday and there’s a decent selection of Japanese films. No real surprises since most of these have been at various film festivals (most at Rotterdam) around the world and I have written about ALL of them at some point so I know which I’d want to watch if I had the choice. For people interested in seeing some of the latest Japanese films who can’t make the Terracotta Far East Film Festival, they would do well to attend Edinburgh which shares Be My Baby an example of the latest trend in Japanese indie filmmaking. Anatomy of a Paperclip got an excellent write-up from Tony Rayns when it was at last year’s Vancouver International Film Festival. One title that has me super-intrigued is Miss Zombie by Sabu, a film director whose works I first became acquainted with when in high school and reacquainted myself with when I asked a friend to help me procure some of the 90’s titles. This is another title which got critics talking, an original take on the zombie genre. This Japanese film is a product of the ‘workshop’ indie films that are released nearly every weekend in Tokyo. Be My Baby is a low-budget film shot I four days for under $10,000 in a couple of locations. 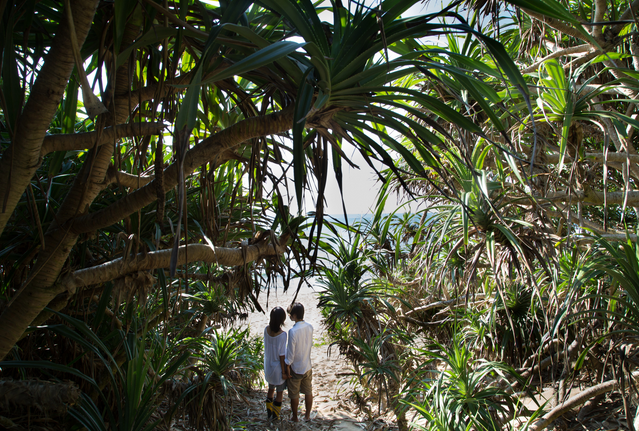 It is based on a play by award-winning dramatist Daisuke Miura (which was screened at cinemas) and it’s directed by Hitoshi One, director of the big-budget Love Strikes!. It’s a very adult film about the aftermath of a party attended by a group of drop-out twenty-somethings who are all flawed and caught up in damaging relationships. It got its UK premiere at the Terracotta Far East Film Festival and Third Window Films are backing this. 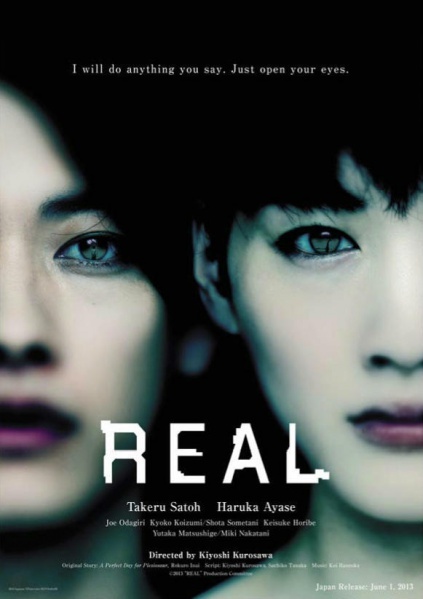 Real was one of two films directed by Kiyoshi Kurosawa that were released last year, the other being Seventh Code which stars former AKB48 member, Atsuko Maeda. Real is Kurosawa’s biggest budgeted film in a long time. Based on an award-winning mystery novel and featuring two beautiful leads anchored by a supporting cast of familiar and excellent actors the biggest mystery is why the film turned out so dull. Koichi (Sato), a physical fitness trainer, and Atsumi (Ayase), a manga artist, are beautiful people who seem to lead a blessed life. Blue Ruin has the sort of indie film genesis of legend. Two old friends, director Jeremy Saulnier and star Macon Blair, had long worked together but success had eluded them. This was their last shot at making a mark as filmmakers but they ran out of money when filming and so the director and his wife put their life-savings into the project and turned to Kickstarter. 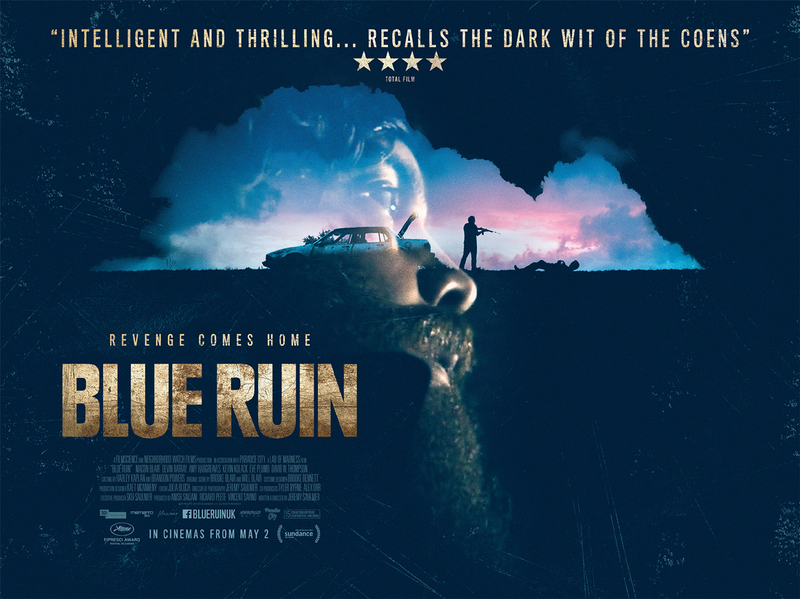 It turned out to be a good idea because Blue Ruin went on to gain good press at Cannes where it won the Fipresci Prize and a wide release (at least here in the UK). Blue Ruin is a pulpy slice of revenge narrative with an indie sensibility that twists a familiar story into something disturbing and shocking. Cannes is underway and I’ve been sucked into the hype by constantly checking the film reviews and videos over at The Guardian and the info on Bonjour Tristesse. The Japanese entries are splitting the critics; The Tale of Princess Kaguya is wowing everyone while Naomi Kawase’s Still the Water is receiving mixed reviews (Peter Bradshaw reviews it in this video an does a better job of explaining it on film… digitally, I should say, than in text). Alas, I’m not at Cannes but I can watch films and so on Monday I did a double-bill of Blue Ruin followed by The Wind Rises and both films blew me awaaaaaaaay. Expect long reviews next week. 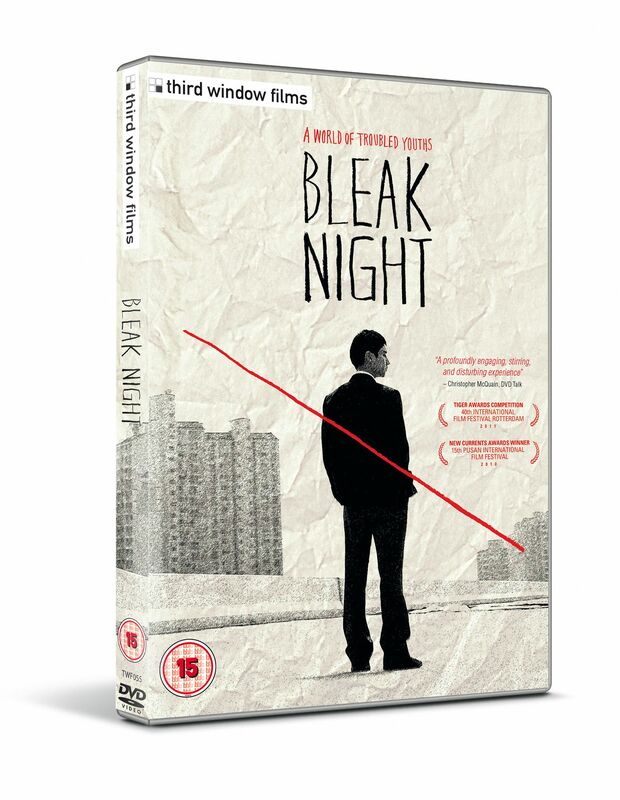 This week I posted about Third Window Films and its release of the Korean drama Bleak Night. Bringing things back to festival hype, I posted about the Kotatsu Japanese Animation Film Festival which takes place next month. 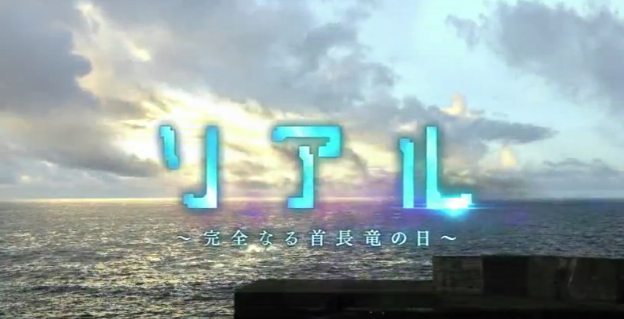 I also updated the Japanese Films at Cannes post with a trailer and a clip for Still the Water. 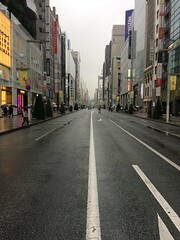 What’s released in Tokyo this weekend??? The first and only Ochiai film I have reviewed was Infection which I thought was a fun and gooey J-horror. He now enters the teen horror realm with an adaptation of a novel. The Kotatsu Japanese Animation Festival is a small event that takes place over the course of a day at Chapter Arts, a small but trendy (read, hipsterish) art house cinema and theatre space tucked away in a borough of Cardiff, South Wales.The festival may be small but thanks to the passion of its founder it is bright and rapidly expanding with an increasingly ambitious line-up of feature-length and short anime films across a number of genres and for a number of ages. A sign of the changes comes in the change of date, instead of the wintry atmosphere of November, this year’s festival takes place in the heat of Spring and in two locations with the sea-side town Aberystwyth joining the action. I attended last year’s festival where I made the mistake of not pre-booking a ticket and missed the chance to see Makoto Shinkai’s Children Who Chase Lost Voices which was sold out. Instead I had to spend three hours at the cafe bar nursing a couple of coffees before I watched the rather good Berserk Golden Age Arc I: The Egg of the King. I have been following this festival with great interest because the line-up of films programmed picks some of the best of the titles released in Japan and touring the UK. The festival is less than a fortnight away and the details have been released. Here are the dates and the films on offer. My long week at work is about to end and I’m about to start a short four day holiday where I prep for my Japanese exam. I’ve already had my speaking test where I introduced this blog to my class and traumatised people with trailers for Suicide Club, Cure: The Power of Suggestion and others. Next week is my final exam and I have spent most of this week studying. The only anime/film related thing I have done is to watch Ping Pong The Animation and Crystal Blaze and post more about this year’s Terracotta Far East Film Festival (new info on the guests). 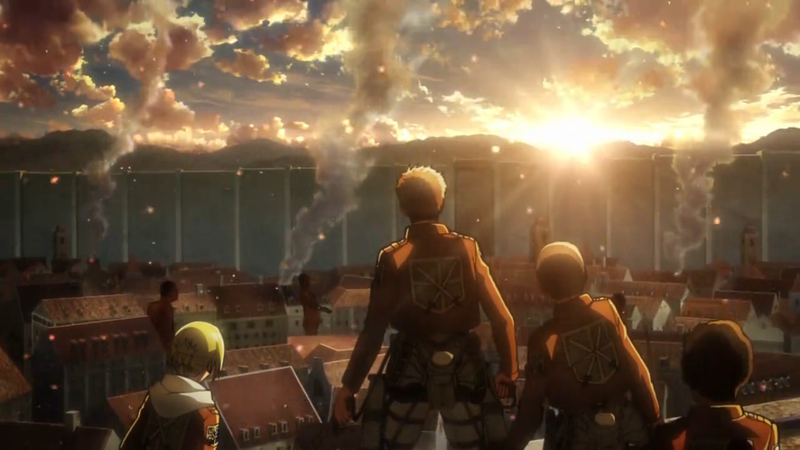 Enough from me, here are the trailers for the films released for this week in Tokyo! I’m going to shuffle off and go back to studying. Film of the weekend, everybody else go home! 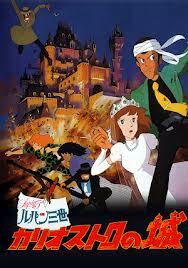 This is the remaster of the CLASSIC, Castle of Cagliostro. It’s getting screened in cinemas across Japan and there will be reissues of the original 1979 poster and pamphlet for the film. We all know the story (or should know), Lupin and best-pal/partner in crime Jigen, search for a counterfeiter who has rendered their latest casino heist a waste of time. They discover that the counterfeiter is in the secluded country of Cagliostro and that a wicket count is holding a beautiful and innocent princess in a tower… I love this anime and I’d recommend it as one of a number of entry titles for those not familiar with Japanese animation. It’s definitely one of Miyazaki’s best. The full line-up for this year’s Terracotta Far East Film Festival has been revealed ahead of its run at The Prince Charles Cinema and The Institute of Contemporary Art in London between May 23rd and June 01st and I have already written two massive previews for this blog and Anime UK News where I reveal the films and events. This particular post focusses on the Japanese titles selected and, in my opinion, the best titles in the festival. This will be the sixth Terracotta Far East Film Festival and it is the best place to see the latest in Asian cinema in the UK. This will be the second festival I will (hopefully) attend. I had the pleasure of being invited to the press conference while down in London for part of the Yoshitaro Nomura season. I’m glad I went to the media event because I met some cool fellow bloggers and saw the selection of Japanese films. These had me smiling and they are some of the latest and best looking titles I have written about in my weekly trailer posts. The titles that are top of my list are The Snow White Murder Case and Judge! which will get its international premiere. 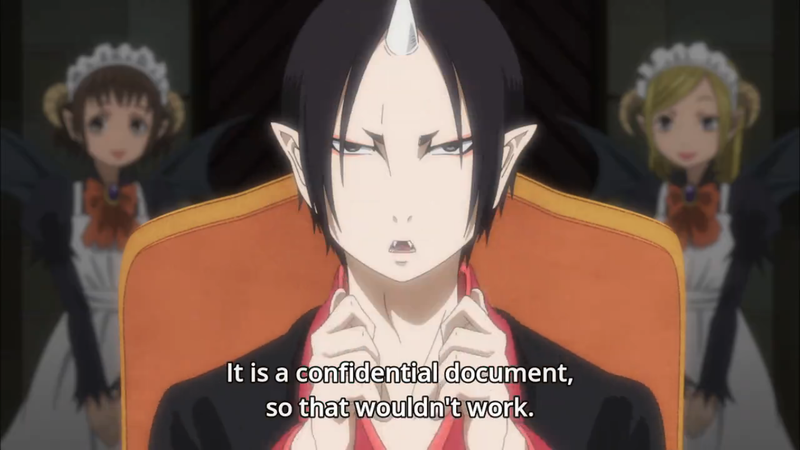 Furthermore, the director of Judge!, Akira Nagai, is going to be present and he will conduct a Q&A! Here’s a list of the films. To find out more, click on the link to get taken to the festival page.